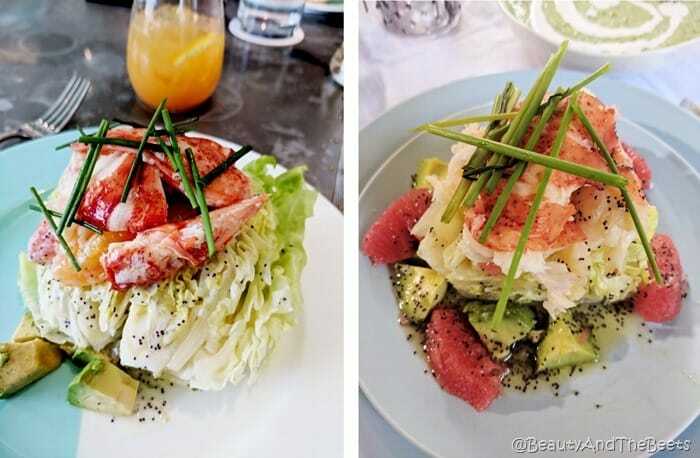 In case you missed the last month of posts on Beauty and the Beets, I visited Blue Box Cafe (a.k.a. Breakfast at Tiffany’s) on the fourth floor of Tiffany’s flagship store on Fifth Avenue in New York City. And it was magnificent, although trying to land that reservation was difficult. Plus, since I only tend to be in New York City every four months or so, I don’t have easy access to the cafe. So I decided to recreate my experience at home. 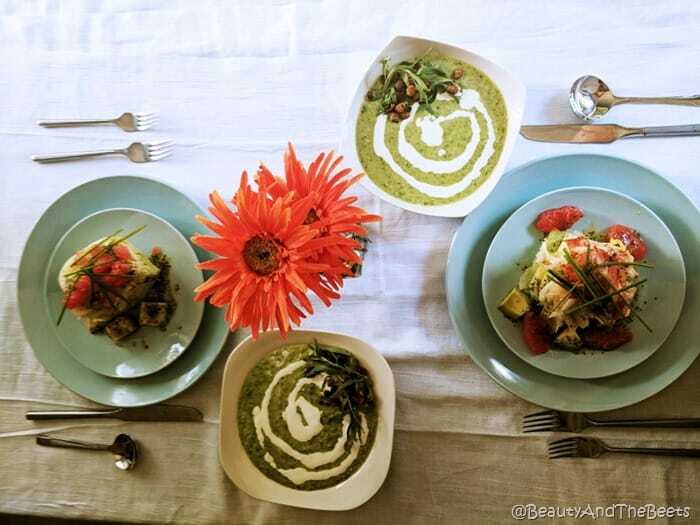 I had the Chilled Pea and Mint Soup and the Fifth Avenue Salad, the soup copycat recipe I posted a few days ago. 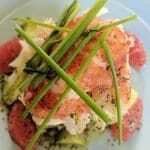 Now it’s time to share my Lobster Grapefruit Fifth Avenue Salad copycat recipe. First, what is the Fifth Avenue Salad, you ask? 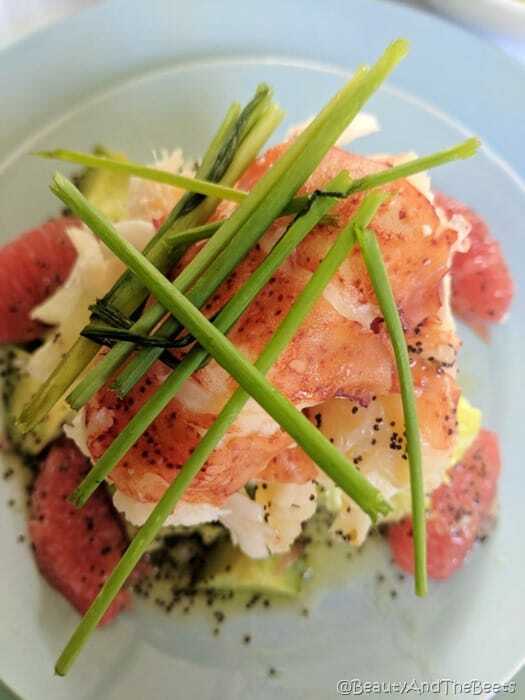 Well, it’s a lobster grapefruit wedge salad with Maine lobster, avocado, grapefruit, and poppy seed dressing. Really, not much need for a recipe there, but I made one anyway. The Fifth Avenue Salad from Blue Box Cafe on the left. On the right: the author’s homemade recreation. Then there’s the grapefruit, and in my opinion Florida grapefruit is the Maine lobster of grapefruits. And a lobster grapefruit salad? Mmmmmm……. Of course, if you like most people, you don’t have a lot of time to search the globe for the best ingredients. I cheated and used those pre-segmented grapefruit cups from the grocery store’s produce aisle, but I did make my own Poppy Seed Salad Dressing (though you could certainly buy that bottled too). I prepared my other ingredients while I cooked the lobster tail in my steamer. I’m not trying to push a steamer on you guys, but seriously, how can someone not have a steamer in their kitchen? We use ours as much if not more than our insta pot and toaster combined. 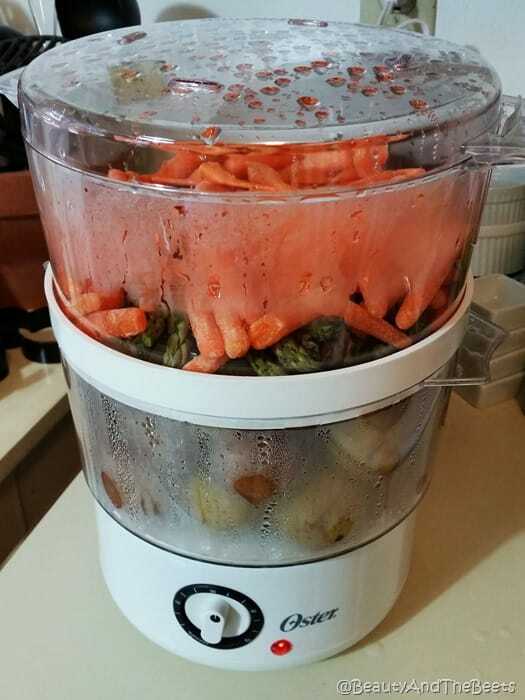 Veggies and potatoes in the food steamer. Anyway, I digress. I loved recreating my meal at Tiffany’s. My next recipes will be that incredible avocado toast and endive salad. Enjoy and let me know what you think! 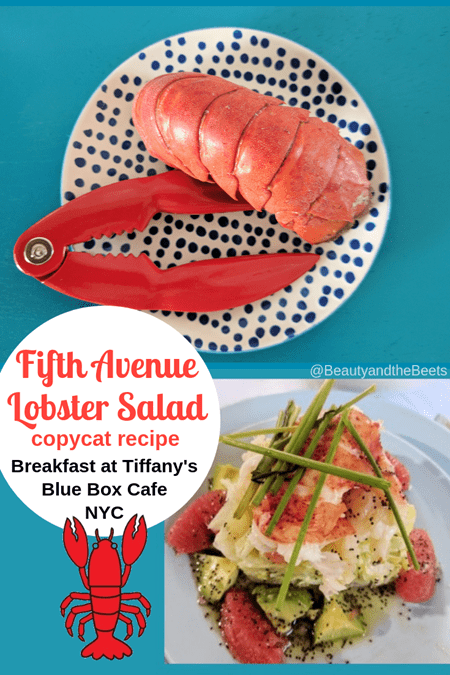 Based off the Fifth Avenue Salad as served at Blue Box Cafe (a.k.a. Breakfast at Tiffany's) in New York City. Place the lobster tails in a food steamer. Turn on steamer for 25 minutes. While the lobster tails steam, prepare your ingredients: mince the shallots, section the grapefruit, and slice the avocados. Mix the honey and the baking soda together until the baking soda appears to be dissolved. Whisk the honey mixture and the vinegar together. Add in the minced shallots, poppy seeds, dijon mustard, and salt. Mix well. Slowly whisk in the grapeseed oil, whisking until the dressing is well mixed. Set the lettuce wedges on separate plates, line the plate with the avocado slices and grapefruit sections. 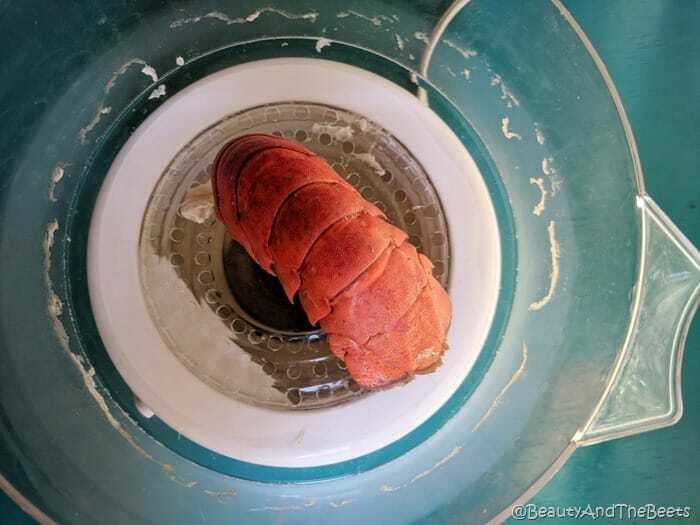 When the lobster tails have turned bright red, remove from the steamer (carefully as the tails will be very hot). Remove the meat from the tail shells, and place the meat on top of the lettuce wedges. Top salads with the chives and serve immediately.